Sonic the Hedgehog's dalliance with episodic gaming seems to have been a bit of a dud, with Sega revealing that after Episode 2 ships the publisher has no plans for more episodes. In an interview with Digital Spy, Sonic Team boss Takashi Iizuka said "We are looking forward to hearing the feedback from the users for Episode 2, but we are currently not planning to release another episode". Two things. One, this may be an elaborate Half-Life joke, because two instalments doesn't count as episodic. It counts as one game, then that game's sequel. And two, remember, "no plans" is about the worst PR statement in the video game business. It means almost nothing. So don't entirely count out the possibility of there being more of these. Can they just give up the rights of Sonic to someone else? who else can they give them to? Bioware tried their hand at a Sonic game with the mostly forgotten Sonic Chronicles: the Dark Brotherhood, not to mention most of Sonic 4 was made by Dimps (who were responsible for many of the 'good' sonic titles on the handhelds) while Sonic Team themselves worked on Sonic Generations, which to its credit has been relatively well recieved. Hell Nintendo is rumoured to be helping with the Wii U title Sonic Dimensions. . .
Why? Sonic has actually been good since Colors. At least sega are using their properties, Rare just seems content to release polished shovelware on the back of cherished memories. If any companies IP warrants being drawn and quartered and spread to companies who actually have talent, it's theirs. I knew from day one that Sega's plans to make Sonic 4 an episodic release were about as good as a whole pile of puppies and rainbows. Not that Sonic 4 was good, but this is why I hate Episodic releases. I've never really understood episodic gaming. The notion of episodes works with something like adventure games because it's a story per game, but most of the time these "episodes" are actually just a series of smaller games and their sequels. Maybe episodic games should become Short Story games, then medium length games are Novella games, and full length, epic games are Novel games. What team made Sonic 3 and Sonic and Knuckles, those were the best Sonic games imo (though I'm sure a lot of people may disagree). Get those guys back together and tell them to make more to that series. The only episodic games I've seen work well are the Telltale games. Everything else has failed miserably. Oh and the Blackwell games! They were good too. Will the "Sonic Cycle" ever end? 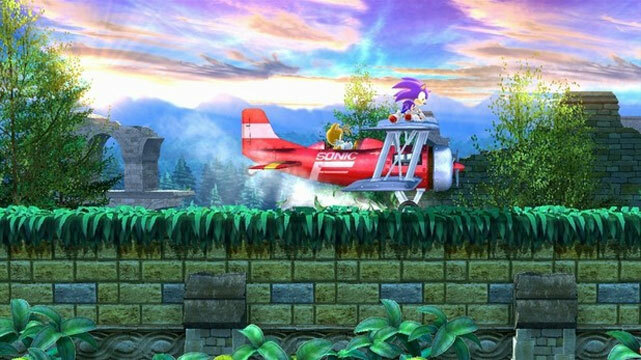 After being let down, again, with Sonic Generations (geez, Green Hill Zone really looked and felt the part. Shame about the rest of the game), where can they go? You're in the minority, good sir. Most people enjoyed Generations, and it received pretty decent reviews across the board (except for the occasional 'Sonic games are automatically crap so I'll give this a 5' review). Colours was much the same. The Sonic Cycle hasn't been valid for a couple of games now, even if you personally disliked them.